A scheduled Sunday church service at the Spintex branch of the Synagogue Church of all Nations has been cancelled due to a stampede which left three men and one woman dead at the church premises on Sunday. The man of God, Prophet TB Joshua had earlier announced the distribution of anointed water during Sunday’s service on the church’s station, Emmanuel TV. 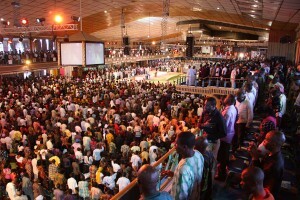 Hundreds of people reportedly started arriving at the church premises from 8pm last night and before the service could start this morning, the stampede due to the huge numbers at the venue. According to Citi News editor, Richard Mensah, who was at the scene, the District Police Commander confirmed the deaths and 15 other casualties and stated that both the dead and injured had been conveyed to the hospital. Even though the church requested security from the police, they did not anticipate such a massive crowd numbering 45,000. Speaking to Citi News, one of the church officials, Rev Sam Mc-Caanan said they had to stop the service because they heard a commotion outside the building. “Everything started very well this morning but in about 30 minutes we heard some commotion outside the church premises. We went outside the building only to find a stampede and people being trampled over,” he stated. Earlier this morning, a flotilla of cars on the Spintex road and its enclave, en route for an anointing water service by Nigeria’s Prophet T. B. Joshua in Accra, resulted in another impenetrable gridlock which caused frustration to commuters and Residents in that area. 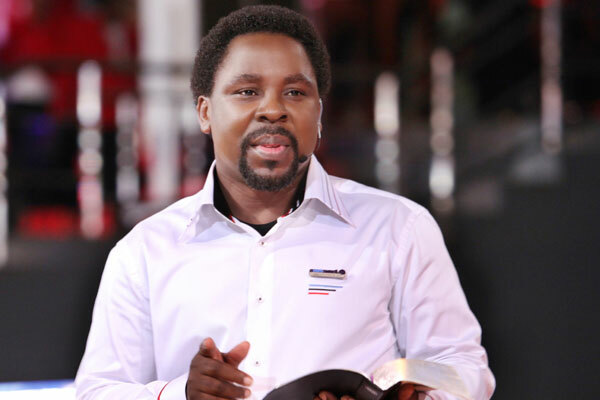 Three weeks ago, a similar situation left the Spintex road in another lock down as hundreds of people thronged the church to meet Prophet TB Joshua. This entry was posted in World News and tagged anointed water, Ghana, killed, Prophet TB Joshua, stampede by Kris Patrick. Bookmark the permalink. prophetofscoan@gmail.com If you are interested in knowing more or call +2348169340571 if you want to visit Synagogue, Church Of All Nations……….. This is to allow us further processing. We will contact you about the cost of courier delivery fees to ship your package to your country through DHL Courier Delivery service. EMMANUEL GOD BLESS YOU.